Funds raised by TAB support AIDS Service Organizations in Colorado and Africa. TAB funds are uniquely important to these organizations as they are unrestricted and can be used to meet patient needs that government funding often won’t allow. Locally, TAB's programs focus on expanding education opportunities for youth and adults that will result in positive choices about health and acceptance. 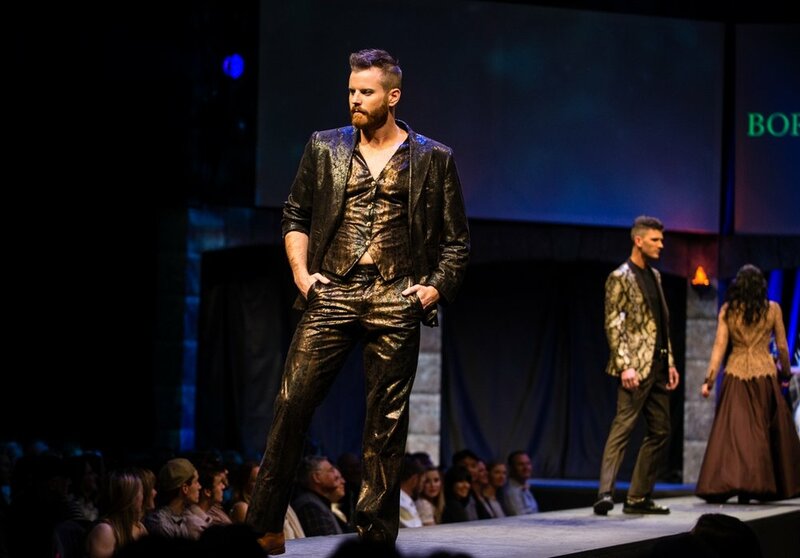 The Telluride AIDS Benefit Annual Fashion Show is a show as unique as Telluride itself. With a 26 year local history, it is not your average fashion show — the event has been called a "Broadway Pop-Up" and "Cirque de Soliel meets NY Fashion Week". TAB has become the premiere event of the Telluride winter season. The all volunteer cast and crew spare no expense of their time and love to raise money for the cause. In Colorado there are over 12,000 people living with HIV and AIDS and 32% of new HIV diagnoses are among young people ages 20-29. The cost of care for one person living with HIV is $3,500 per month and $42,000 per year. TAB is working with partner organizations towards the goal of ZERO new HIV infections in the state of Colorado by 2030. This is an attainable goal. The Telluride AIDS Benefit fights HIV/AIDS by raising awareness and generating financial support for prevention programs and client care.